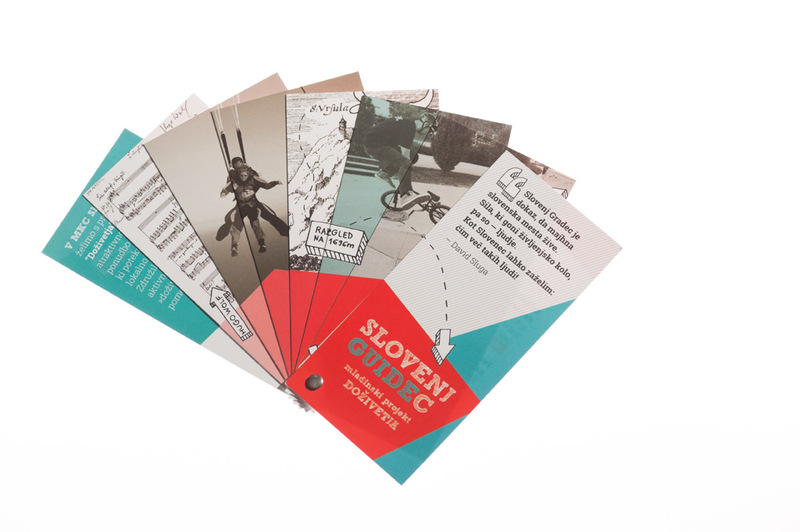 Guide was made for younger tourists and visitors of hostel in Slovenj Gradec. 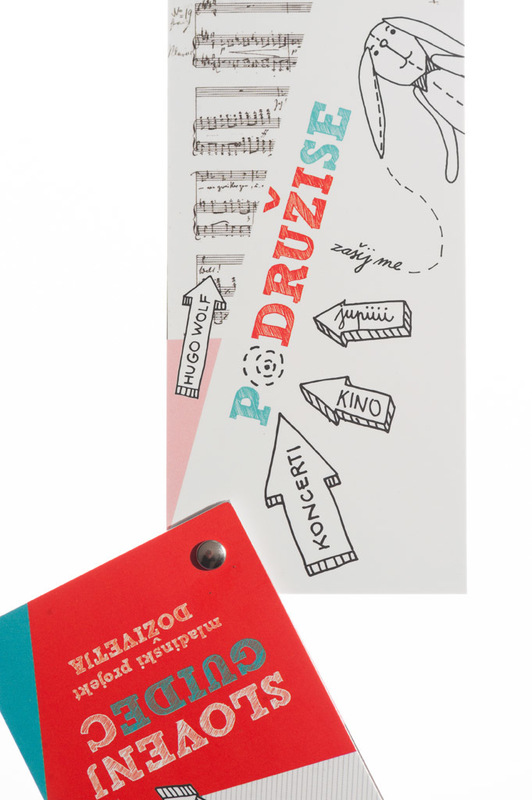 With fan shaped design, we wanted te show that Slovenj Gradec can be interesting for youth and ful of adventures. 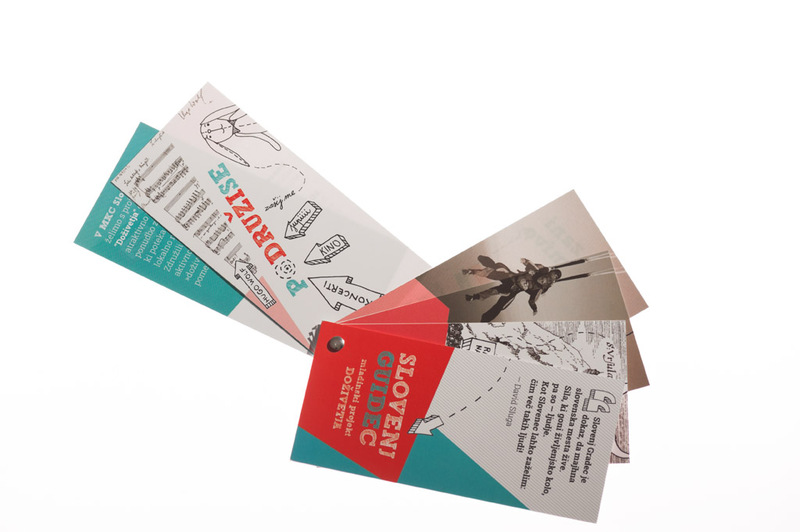 Brochure is shaped like a folding fan which is made up from 8 pages, 7 x 14 cm, brided together with metal spiral on the left bottom corner. Its interesting shape makes you not ever want to put it away once you have it in your hands. When the fan is folded out in the right proportion, you can see on the front pages collage of the photos, illustrations and banners. Every page is designed differently. Front collage depends on content on the back side. 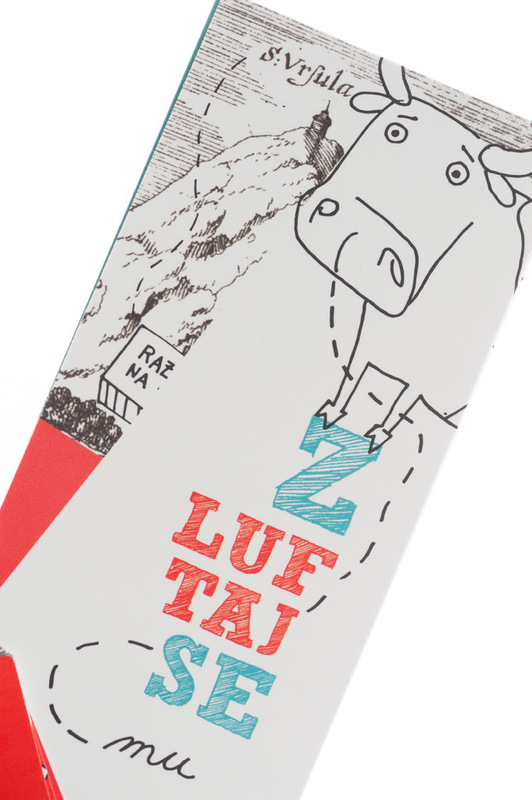 – rural area- Zluftaj se / Breath in, adrenaline – Znori se / Get crazy, interestin- ZAinteresiraj se / Get interestied, sports – Zmigaj se / Get yourself sweatin, Get moving.